Welcome to the first edition of the Devtech Advantage Newsletter for 2018. So far 2018 has been an extremely busy year for the Florida natural gas industry. There is growth on every level from distribution to transmission, LNG, and devtech is no different. In this edition we will be introducing two new employees to the Devtech team and also two new family additions (babies). Also in this edition we will highlight some upcoming events that will be hosted by Devtech in Avon Park and we hope some of your teams will be able to join us for some learning and a little bit of a good time as well. Thank you for taking the time to read this edition of the Devtech Advantage Newsletter and here is to a safe and prosperous 2018!! 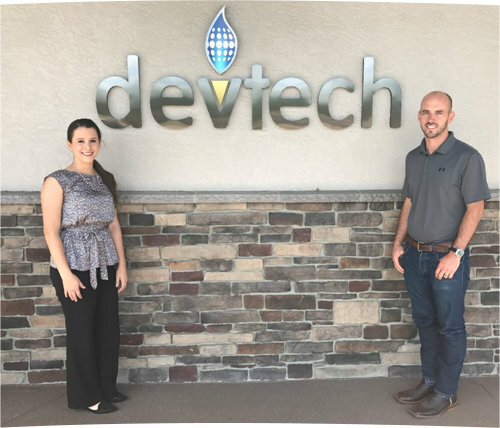 Like the natural gas industry in Florida Devtech is growing and we are pleased to introduce our two new team members, Charles Heston & Teresa Devlin. These names may sound familiar to most if not all of you, and there is a good reason for this. Charles is the younger brother of John Paul Heston (Central & South FL Sales: Devtech) and Teresa is the daughter of Charles & Stephanie Devlin (President & VP of Devtech). Charles Heston started with Devtech on January 2nd of this year. Charles was born in Avon Park and graduated from Avon Park High School. He went on to play two years of baseball at South Florida State College and then continue his education at the University of Florida. Charles graduated in 2009 with a degree in Sports Management. After graduating from UF Charles spent some time in Herndon, Virginia working in property management. In 2012 Charles married his high school sweetheart Jeanna Haynes. Jeanna's job with Holder Construction then sent them half way across the country to Dallas. 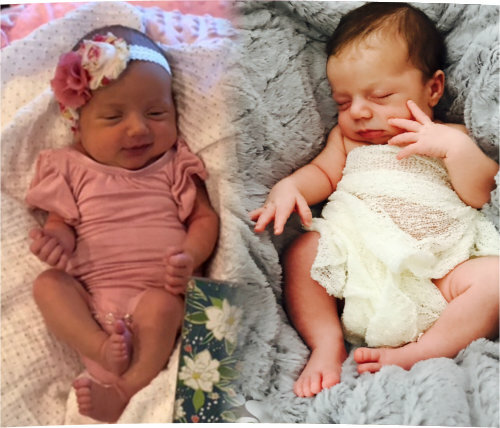 Charles and Jeanna had their first child Emmett while in Dallas and they just recently welcomed their second child a sweet little girl (Haynes Michele) into this world on February 26th. That brings us to right now and Charles's current role within Devtech. Charles will be working side by side with Doug in the office helping out with inside sales, shipping, and whatever else comes up on a day to day basis. Please feel free to reach out to Charles any time for assistance or just to welcome him into the Florida Natural Gas family. Teresa Devlin started with Devtech in February of this year. Like Charles Teresa was born in Avon Park and graduated from Avon Park High School. She went on to attend the University of South Florida in Tampa and graduated in 2017 with a degree in Communications. With the growth of Devtech and the charm of a small town, Teresa made her way back to Avon Park after graduating from USF. Teresa has been brought on as our Bookkeeping and Admin Assistant and is currently learning as much as she can. Please join us in welcoming another Devlin into the Florida Natural Gas family! Remember when I said that 2018 has been a busy year so far? Well that is definitely true for two of our employees at work and at home. John Paul & Charles Heston both welcomed a new baby into their family this year. Charles & Jeanna Heston welcomed Haynes Michele Heston into their family on February 26th. Haynes was 20" long and weighed in at 7lbs 12oz. She is a healthy little girl and her little brother Emmett along with the rest of us are excited to have her in the family. John Paul & Sara Heston welcomed Parker James Heston into their family on March 6th. Parker was 22" long and weighed in at a whopping 8lbs 12oz. He is a healthy little boy and was welcomed into this world by his siblings Sophia, Amelia, Olivia, and Preston (yes this makes 5!!!). Pictures are below and at least for John Paul this is the last birth announcement you will be receiving!!! Devtech feels that training and continuing education is key to the advancement of the natural gas industry. For this reason we have our Jim Estilette Training Center. So far this year we have held measurement & regulator schools, Flow Safe Relief Valve School, upcoming we have Basic Corrosion School followed shortly after by a one day seminar featuring Honeywell Instromet Ultrasonic meters. The Basic Corrosion School will be taught by none other than Buddy Hutson and is a great introduction into the art of protecting pipelines. The Honeywell Instromet Ultrasonic Seminar is being offered by Devtech & Honeywell and at no charge. 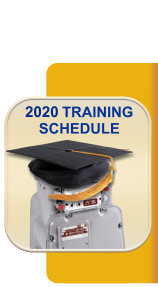 We will have members of the Honeywell team at the Jim Estilette Training center presenting hardware & software functionality for the Q-Sonic Plus as well as the legacy Instromet ultrasonic meters. Please visit our training page for registration information. Also, we are always open to hosting classes that our customers feel would be beneficial to their success. Please reach out to any Devtech employee with your ideas and we will work on putting a course together to fit your needs.